Anna was born with a passion for horses and has spent her entire life surrounded by them. At the age of eight she was first introduced to Monty Robert's methods, and with great interest started to learn the language of the horse. She later became involved in point-to-pointing and racing, focusing her attention on improving the starting methods adopted in many racing yards both in England and Germany. After travelling to California in 2007 to help assist with a Monty Roberts special training clinic, Anna decided to embark on the journey of becoming a Monty Roberts Instructor, and "help make the world a better place for horses and for people" (Monty Roberts). In 2012, she became the youngest Monty Roberts Instructor in the world, joining the other 50 Instructors at the time. Whilst out in America, Anna became heavily involved with Valley View Ranch Equine Rescue and decided to move out there and manage the organisation, helping re-home and rehabilitate over 200 horses. During this time, she focused more on Western riding and became interested in the training techniques adopted by the likes of Ray Hunt, Bill Dorrance and Buck Brannaman, and combined those she had learnt from Monty, to form her own style, mixing both the English and Western disciplines, designed to suit any horse. 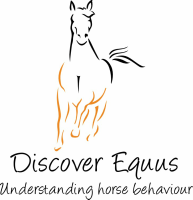 She then went on to work at Monty Roberts Farm as both an Instructor and trainer, teaching various courses including 'Horse Sense for Healing', a programme designed to assist with PTSD in War Veterans using equine therapy. Anna is now one of a limited few, capable of teaching the Monty Roberts Advance Course in California. In 2012 Anna moved to Germany to work at a TB stud farm before returning to the UK to focus more on training and teaching, setting up her own business; Discover Equus. In 2016, she moved to Hungary to set up an equi-tourism business and educate people to a better way of working with horses, without the use of violence. During this time, she continued her business in England, making regular visits to teach and do remedial work. In 2018, she spent half the year back in America, working with a wild horse and burro sanctuary, Dream Catchers, to help rehabilitate and rehome many due to an overpopulation. She is now based back in the UK. She is available for various lessons and courses, as well as training. Her passion mainly lies in gentling wild horses to become acclimatized to people and building their confidence.